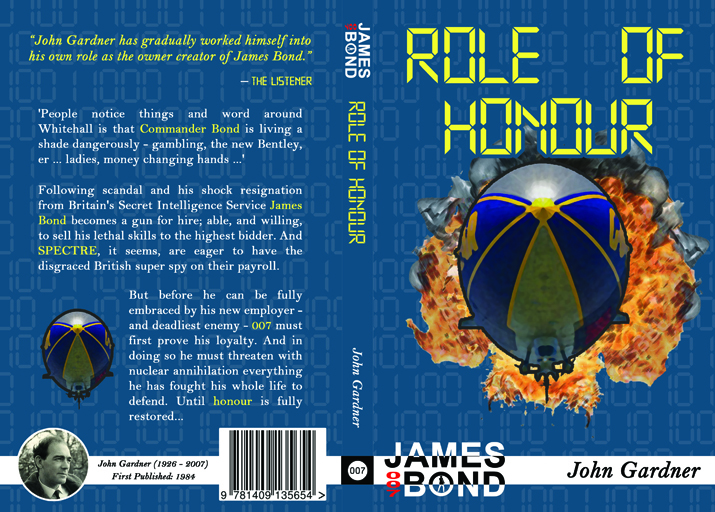 This is the ninth post in a series about a personal project I am undertaking in which I intend to produce covers for the series of books featuring that most famous of spies, James Bond. 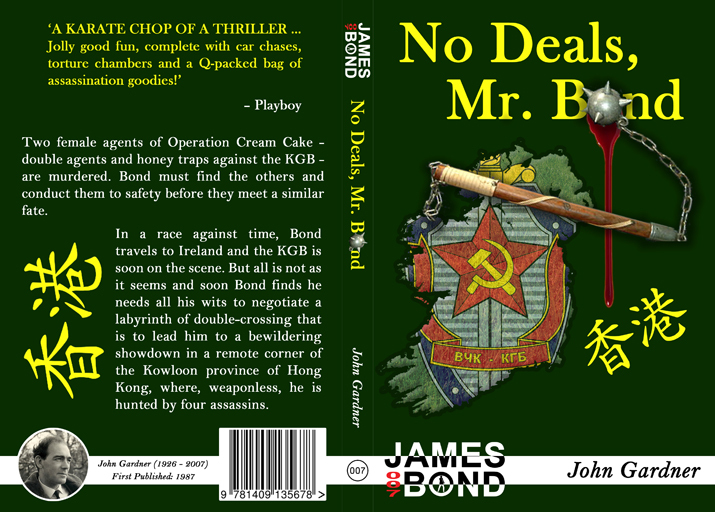 It is my intention to produce sample covers not just for the novels of Bond’s creator, Ian Fleming, but also the authorised sequels and prequels that have been published over the years. 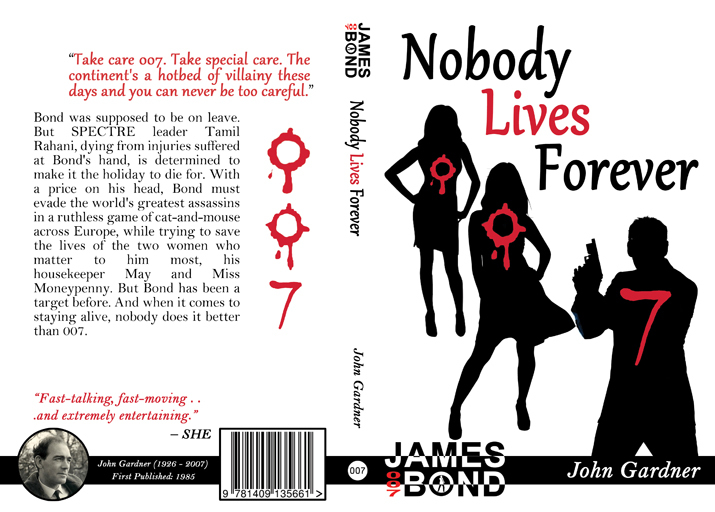 In this ninth post in the series I present my versions of covers for three John Gardner continuation novels from the mid eighties. Each cover is presented below and the following pages of this post each discuss one of the covers and the look and feel I was aiming for with them.